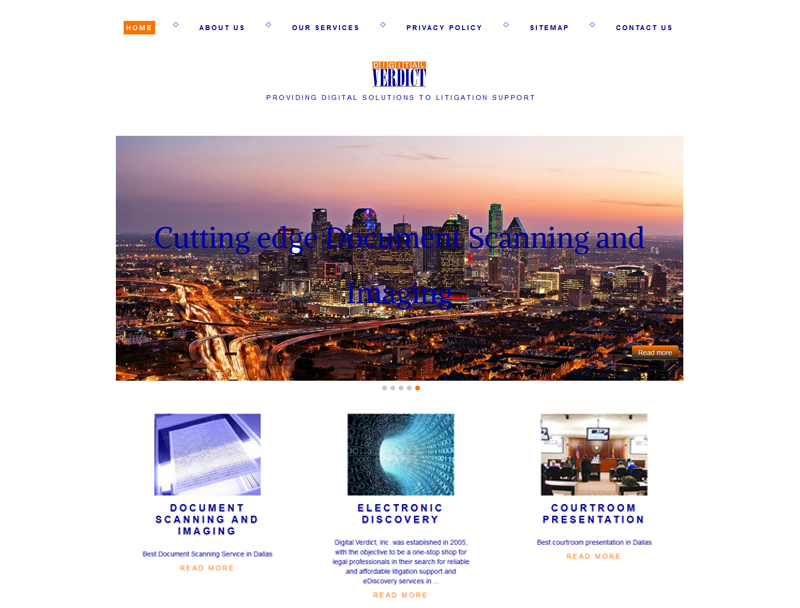 Digital Verdict, a litigation support company, was looking for assistance with updating their website and Your Web Guys was ready and able to set up a modern and responsive web design that complemented the colors of their logo. Their new content management system houses all of their business to business services in an easy-to-navigate setup that stays true to their brand. An engaging jquery promo slider greets visitors to the site by pointing out key pages or posts to look into more in depth and the blog is available for sharing current news. With high cross-browser compatibility and social media share icons for integration with the most popular social platforms, Digital Verdict is set to provide solutions in style!